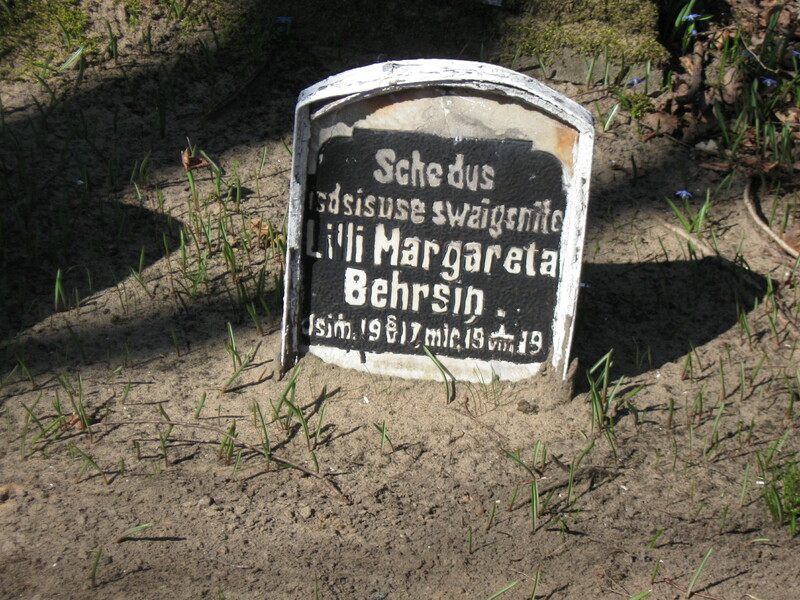 Name: Lilija Margareta Bērziņa, born May 6, 1917, died August 1, 1919. Location: Meža kapi (“Forest Cemetery”), Rīga. Transcription is in modern orthography. Photo taken by me, April 2012.